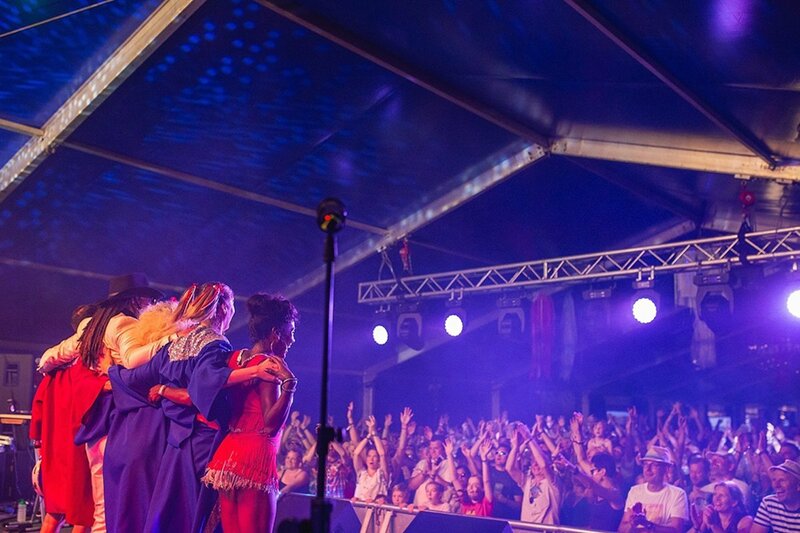 Over the years, Danco have worked with a variety of festivals including Glastonbury and Latitude, to smaller more localised events such as Nibley Festival. 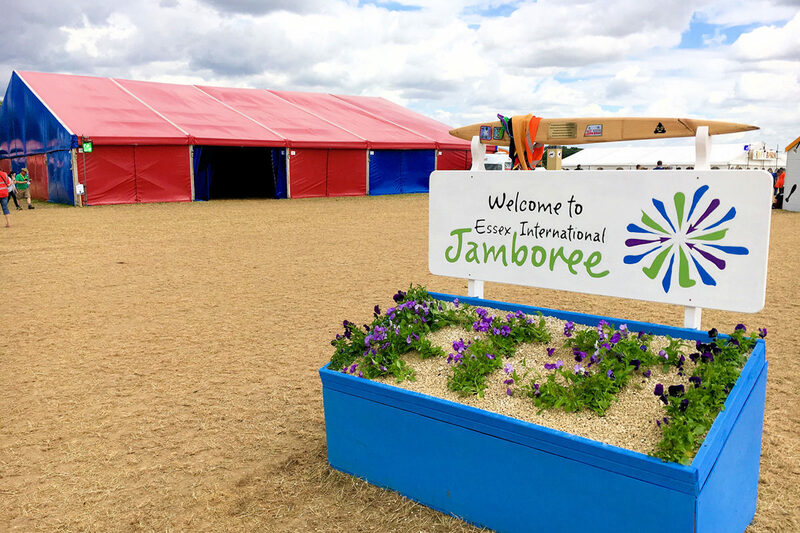 We understand the need for specific solutions and are proud to present our festival marquee covers. These covers are available in a wide range of different configurations enabling you to create the perfect Festival Tent. 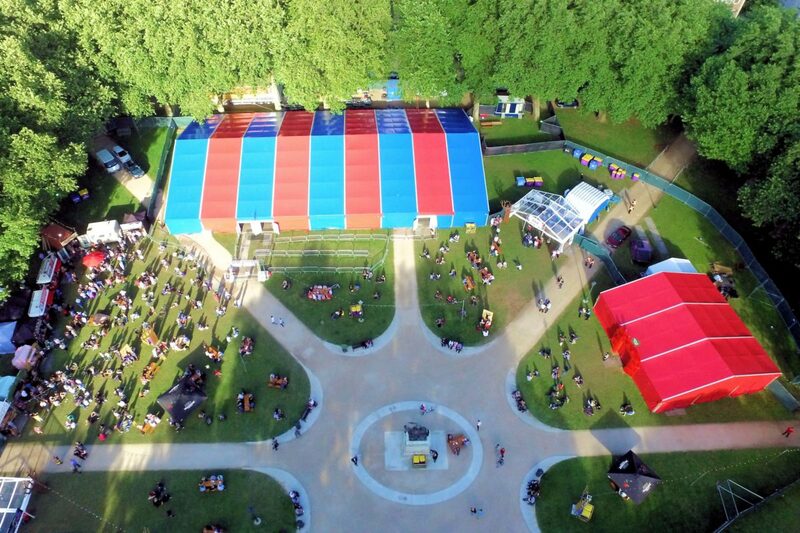 The key difference with this product compared to other types of festival structures is in its construction; made of black-out PVC inside but with external red, white and blue panels, it is practical and decorative at the same time. The PVC panels fit perfectly into our clearspan marquee frames of both 15m & 25m width and can be of almost any desirable length in increments of 5m. The exterior colours can be installed in any configuration of your choice. It is also available with or without round ends in both sizes. 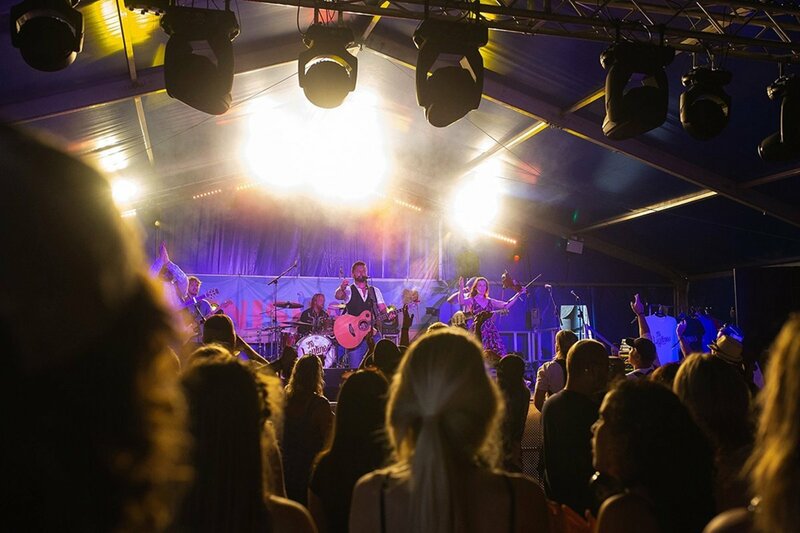 We have considerable experience within the festival market and our covers have proven to be an effective and versatile alternative to other festival products. TO FIND OUT HOW WE CAN HELP TRANSFORM YOUR FESTIVAL - GET IN TOUCH WITH OUR TEAM!